The Arc’teryx Alpha SL Pant is a lightweight GORE-TEX waterproof trouser designed for those days where you might still need waterproof leg protection but don’t intend on spending all day wearing it. 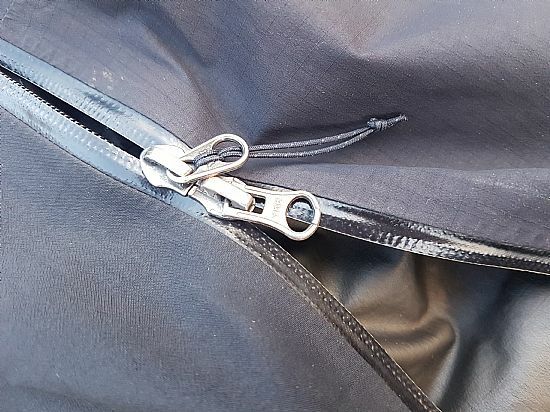 Using a GORE-TEX Paclite fabric, they are a minimalist design with only the most important features retained (to save weight and reduce pack size). They feature full length side zips to make getting in and out of them easy. 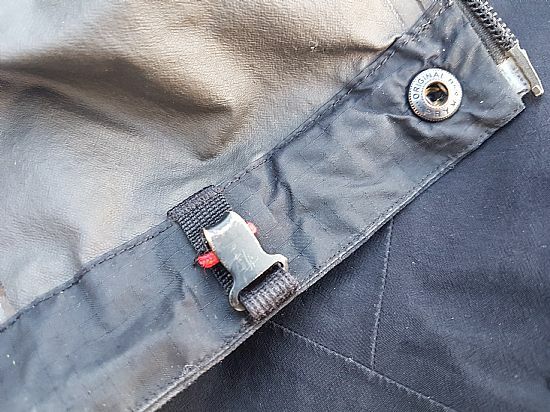 This means you can put them on whilst wearing boots (simply by opening the zips to create a large opening) or whilst wearing crampons (they fully unzip, meaning you can put them on without taking your crampons off and without having to balance). The Arc’teryx Alpha Sl Pant has a reinforced seat, knees and ankle allowing greater durability in the highest wear areas. 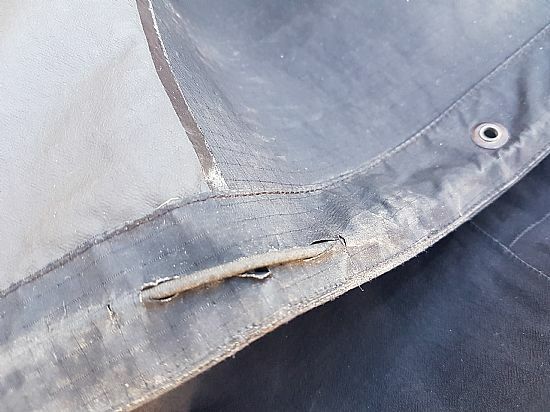 Whilst this is a very intelligent use of zoned fabric construction they are not the most durable pants; crampons, skis and even slightly sharp rocks will puncture and shred the fabric. If you intend on being out in all conditions every day then it is worth looking elsewhere for the extra durability required. Although the GORE-TEX fabrics used on the Alpha SL pant may not be the most durable they are lightweight and very packable – when packed it feels like the majority of the bulk is zips not the actual fabric itself. The breathability of GORE-TEX Paclite has been heavily criticised over the years (and perhaps justifiably so in jackets) but with legwear it is less of a problem (most people I know don’t sweat that much from their legs), so having a slightly less breathable fabric on your legs is a price worth paying for weight saving and packsize. The waist adjustment is an innovative and simplistic system; featuring a metal hook on each side of the pants which can then be placed in a series of slots to adjust the waist. 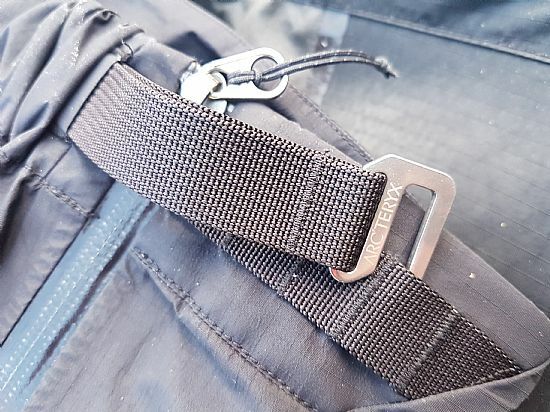 In my experience, this has been durable, isn’t prone to freezing up and provides enough adjustment for different layers but the metal hooks can dig in to your stomach/hips when wearing a harness or rucksack (This is in contrast to what Arc’teryx say “fit comfortably under a pack or harness”). 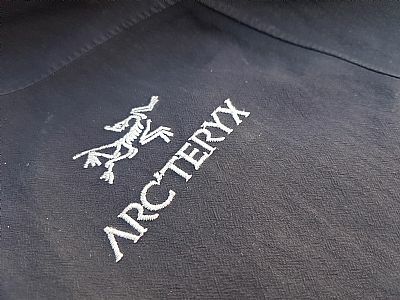 Arc’teryx describe the Alpha SL pant as having a trim fit to help reduce crampon snags, however in reality the ankles are wide and arguably oversized (Think along the lines of flared trousers). This means they are more prone to abrasion (and also getting caught by crampons) and for trousers designed to be used for climbing and alpinism the ankles are just too big. They fit over all boots that I currently own, even my ski boots (although I wouldn’t wear them skiing), and are bigger than other similar waterproof trousers. The cut around the ankle should really just be straight, reducing the amount of excess fabric thereby reducing the chance of them getting caught, saving weight and reducing pack size. The hem of the Arc’teryx Alpha SL Pant features draw cords and tuck away bootlace hook. The bootlace hook is really useful when breaking trail through deep powder snow (prevents the trousers from being pushed up and allowing snow in). Although the hook can be tucked away when not in use it invariably works loose and ends up hooking on your laces anyway. The draw cords are largely unnecessary and the Alpha SL would be better without them because they create a high wear point on the fabric (the draw cords wore through the fabric on my trousers in about 20 days use). In summary the Arc’teryx Alpha SL Pant is a great lightweight waterproof trouser for emergency or occasional use. The pack size is excellent, the full side zips make things a lot easier and the zoned fabric makes the best use of the limited durability of the fabrics. Waist adjustment is simplistic, innovative and works effectively. GORE-TEX Paclite fabric is breathable enough for most occasions. Bootlace hook is a brilliant addition for walking through deep snow. Zoned fabric construction is a good way to maximise the durability of the fabrics. Fabric has its limitations; there are more breathable and durable options out there. Waist adjusters can dig in to hips/stomach when wearing a harness/rucksack. Draw cords around hem are pointless, create extra wear on fabrics and add unnecessary bulk and weight. Flared ankles; unnecessary weight and bulk. Also very likely to get caught on crampons or suffer more abrasion. 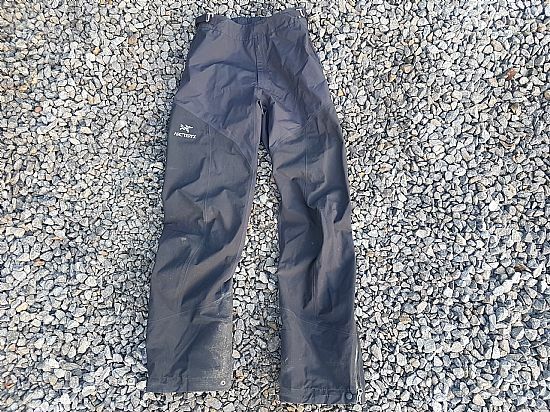 Although there are many other excellent waterproof trouser options which are lighter, more packable, more breathable, more durable or less expensive, the Arc’teryx Alpha SL Pant is a fantastic waterproof pant choice for those who want full waterproof protection, minimal weight and packsize but with full side zips.